Lady Saffron was surprised to find herself still alive come morning but the news of Moirae's death was quite disheartening. "Well you see, Josietta, yesterday you accused me of the murder of Remiel simply because I was his friend. So, in turn, since Moirae was your friend, it must have been you that gained her trust so you could kill her, hm?" "I believe you're trying to frame me. Removing Moirae simply so you can blame it on me. If I were one of the murderers among us, do you think you would still be breathing? You've done a good job to frame it on me and try to cover your tracks and once again if I must die in the name of justice, then it will be very obvious that you are far from innocent." There was no accusation she could voice, no proof of any misdeed to be paid out for everyo9ne to see. Innocents were dying, and save private conversations she'd sworn not to reveal, she had little guidance as to her next move. But as Lady Saffron spoke, lady Niferbelle moved a little closer to her, silently offering her support and expressing her own suspicion of Josietta. Sun "Aiden" Ce was not very pleased with the news of another dying that night. He took his seat and looked at the remaining court members. "You are a great mind Zhuge "Ryven" Liang, your stratagem and skill does not compare to another, I suspect you might be one of the loyalist." He finally broke the silence and made his accusation. She looked at the women who accused her and shook her head. She had said her piece before the last victim had fallen. She made a mistake with Leo and wished she could take it back and have left it at Saffron now. The woman seemed to be poisoning the minds of others with her political sways. The young servant could do nothing about it but continue to serve her tea and look to others for hope that they would see she was innocent amongst the traitors. After having watched quietly for a time, sensing the growing fear and tension in the air, Valerian spoke up at last. "Your pardon," she said to the group, quietly, "but since our situation seems to be growing steadily worse, not better, perhaps we should start from the beginning, without any preconceived ideas. It may be, for instance, that Niferbelle was not the best choice for Charismatic Adviser, much as it pains me to cast doubt on anyone who inspired such trust. I fear I am beginning to think her loyalties may be suspect." Though she bowed respectfully to the assembled gathering as she spoke, she also watched the face of the Adviser, trying to gauge the woman's reaction. Lady Niferbelle at first looked surprised at the accusation leveled toward her but her expression quickly became one of resignation. She sat her cup of tea aside and folded her hands in her lap, troubled. "I'm sorry if you feel the faith placed in me was ill advised," she said softly, directly to Valerian, and then glanced around at the other faces, wondering if they too were questioning her. "If I can address any reasons for your suspicions, I would be happy to do so. I know I have made mistakes but I am not the only one, and we are reduced to conditions such as this, accusing each other without evidence. We're all doing the best we can, I understand that even of you, Lady Valerian." Lady Niferbelle inclined her head respectfully to her accuser then fell silent once again, anxious to hear what the others had to say. Lady Weber remained silent for most of the morning, deep in thought. Another innocent dead- this had to be stopped soon. "My vote will remain the same, then," she finally announced. "Saffron, I am still unsure where your loyalties lie." Awaking with the sun, Zhuge "Ryven" Liang enjoyed the morning air. The crisp chill of the winter combined with the radiant sunlight brought him an inexplicable comfort which was a blessing in such uncertain times. He strolled through the garden to admire the foliage and small pond. Its surface gleamed with the new day's sun, the koi popping to the surface in intrigue. However, all was not well. He heard the others congregating in the main compound, sounds of heated conversation could be heard following their joining. 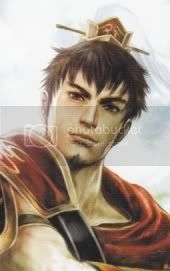 The "Hidden Dragon" stepped in just as Sun"Aiden" Ce accused him of robbing Moirae of her life. His deep eyes cut toward the man as he stepped slowly into the room. 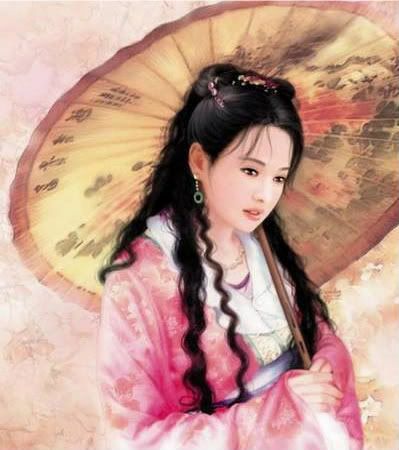 "Your words are like a fluttering monarch, General Ce: elegant, but fragile. I will not be slandered so easily without consequence. The sword cuts both ways in battle, and so I must return your kindness with my own vote," he said with a nod. Lady Beguile found herself in a most unenviable position. Her heart beat steadily and her hands remained calm as she pondered her decision. Her vote could possibly send someone to their death or add to the confusion. Sighing heavily she asked for guidance and offered a pray for forgiveness. "I must speak the name of the one I believe responsible for this latest atrocity. It brings me no joy to say that I believe Josiette to be at the heart of this unfortunate circumstance." "You are making a grave mistake Lady Beguile. Not only do you go against what the General believes is true but I can only think that those of you who are voting against me must be working together against the Imperial Courts. I must be onto something with Saffron and you all think to take out a simple tea lady who speaks out against one of your own is imperative as my voice is too strongly accurate. I will take my fate and allow the courts to do as they wish with me, knowing that I will not die in vain as the true traitors will soon be shown upon my death." She went back to serving tea having spoken her mind. The idea of death did not bother the young Imperial servant, as she knew she was innocent in it all. She would go on with a clear mind and conscience. It seemed at first that the votes were split evenly between Josietta and Saffron, with no hope of being able to reach a resolution. Both insisted that they were innocent, but none of those who had thrown their votes against the lady ministers were willing to change their minds. Others among them seemed to have no clear third target - there was suspicion cast on the group's esteemed Charismatic Minister, but the suspicion didn't take. Finally, it was a final vote that finally brought the most votes to Josietta, who was hauled unceremoniously into the formidable, eerily beautiful chambers in which highly influential ministers and lords who were arrested and brought to the Forbidden City for questioning. Taken there, she saw that she was given the choice of ending her life with a cup of tea, and a small vial of poison. She went bravely to her death, proclaiming to her end her own innocence. The evening came and went uneasily; her room, too, was inspected but to no avail. There was no evidence that hinted even slightly at her being a conspirator of the Yang siblings. Please note that a player's special role, if any, will not be revealed when he or she dies. Blue will mark those who are not Yang Loyalists (Imperial Court, Ministers of the Royal Treasury & Archives, Vermilion General). Orange will mark those who are Yang Loyalists. Their roles are revealed because there are no Loyalist-aligned special roles. All players with special roles, please look for an incoming PM. Unfortunately for the imperial court, night did not bring surcease of the killings. Though some few ministers believe that the lack of evidence of traitors in the court (especially among those whom had already fallen) signaled their absence, many more were unsure that this was the case. In the morning, it was a maid's scream that woke the palace complex. By the time the other ministers reached Beguile's Mistress' room, they had already shrouded her body and were taking it out. Strangled, some of the early risers whispered, and knifed to the heart; she had fought back, but there was no coming back once steel pierced her heart. Again, the day began uneasily, with nobody sure of who they could trust. 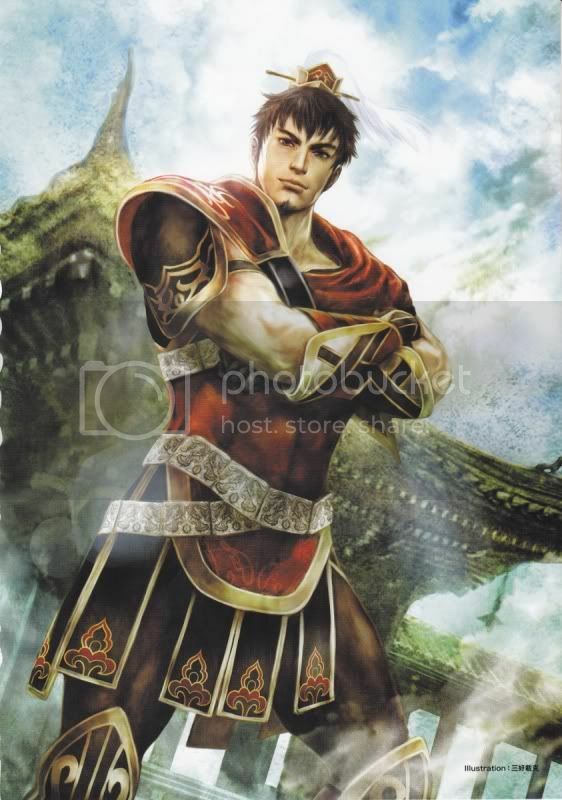 Sun "Aiden" Ce did not want to beleive it, he had trusted her but after the wrong accusations and the murders at night he stormed into the court. "Nifferbelle have you played me for a fool?!" He hissed as he stared at her, their late night encounter had made him feel secure unaware he might have bee playing right into the hands of the Loyalist. "Answer me!" He demanded, his temper compared to that of tiger, the very animal the entire Wu family revered. Lady Saffron was quite confused by now. All of the ones she had suspected were innocent. It seemed that those at fault were better at hiding than one might have thought. Saffron listened to Aiden and could only nod her head. "I am questioning your loyalties as well, Niferbelle. Have you played us all on to your side to mask your true identity?" Lady Niferbelle flinched at General Sun 'Aiden' Ce's harsh words, having in no way been expecting him to focus his accusations on her. Instantly gone were any warm memories she might have been savoring. Saffron's own suspicions struck her nearly as hard and for a moment all she could do was regard both of them in mute dismay. Eventually she found her words. "I cannot adequately describe how you two have struck the very heart of me," she murmured sadly then composed herself, resolved to maintain her dignity no matter what. "General, it was you who sought me out. Never did I attempt to manipulate or influence you though clearly now I can see that you could not say the same of me. And Saffron...you have me speechless. It was your expressed suspicion of Josietta that motivated my last vote, not my own, and yet you try to cast the doubt on me?" She shook her head slightly. "Now I find I can trust neither of you now but General Aiden, as you cast the first stone, I can only regretfully return the gesture." Saffron had no idea under which circumstances friendships had been forged, but it seemed apparent that Niferbelle had not been seeking out others and so could not have been conspiring against her. "I'm sorry, Niferbelle, I am confused. With more light on the situation, perhaps Aiden is trying to cast doubt on you to draw it away from himself?" The lady did not know, she had no real reason to suspect anyone to be more guilty than any other. "There is no point in voting against Niferbelle," Valerian pointed out, quietly and sadly. "If my suspicions are wrong and she is innocent, then we may yet save ourselves for another night. If she is a Yang Loyalist, then we are all doomed. Three of us are with the Yangs; three of us are not. Therefore, the votes will almost certainly tie, and Niferbelle will simply save herself with the power she was given to do so." Then she paused, looking slowly around at the faces of all those who had assembled. "We have only one last hope, to pray that Niferbelle can be trusted. Aiden may in fact be guilty, but Ryven has also seemed suspicious to me of late. My suspicions may be wrong, but now is the time when we must gamble to try to save ourselves. I ask the other two of those gathered here who are not Yang Loyalists to vote with me and join me in this last, frail hope." When the maid's scream shattered the silence of the morning, he knew that the night had been filled with treachery. Walking slowly through the garden as was his habit now in the morning, he made his way to the compound where chill of the morning air made way for heated debate. They were now six. A dwindling number of courtiers remaining. He calmly sat down near his table, his eyes taking in Valerian who cast suspicion. "I admire your conviction, but know that you are wrong about me. I must again return favor where favor is due. I do have suspicions of Aiden, but you may also hide fangs yet to strike us all," Zhuge "Ryven" Liang said before setting his fan aside for a cup of morning tea to settle his mind. At the suggestion that she might have fangs, Valerian only smiled. "I am very sorry to disappoint you, but I'm afraid I have no sting. I am the Minister of the Treasury, and while I may be considered a neutral in this struggle, I have no love for the Yang Loyalists, and little desire to see them triumph. If any here have a better argument to induce me to vote elsewhere, I will gladly listen. Until then, I fear I will stand upon my convictions. If I am in the wrong, it is at least through genuine error, not a desire to see any more innocent blood shed. Can you say the same, Lord Ryven?" I will side with Ryven, Perhaps Valerian is hiding something from all of us. Lady Saffron was unsure whether the Minister of the Treasury could be trusted but she claimed to be siding against the Yang Loyalists. "Well, as there are only a few of us left, we may as well work together." She agreed with the Minister, changing her vote to Aiden though she remained suspicious of Ryven as well. "I hope you are correct, Lady Valerian." Again Valerian smiled, though sadly. "So you are a Yang loyalist, then, Aiden. Your sudden change in your vote gives you away, though it also gives me hope. If Niferbelle can indeed be trusted, this time it might be a Loyalist that goes to join his ancestors." "She plays you for a fool, if I die here then Wu and its allies will not rest until all of your heads are placed on stakes and decorate this very court. " Aiden sneered at them and moved to send out as message to his brother and father in the south to let them know what had transpired, accepting his death was but the first step in ridding the country of the loyalist who spawned from a whore's clutch on the emperor. Lady Weber rubbed her eyes. The past few days had been wearing on her- no one seemed to know who was guilty, and innocent after innocent was being put to death. It had to end now, before another innocent was murdered. "Saffron", she said, "My vote will remain unchanged. I have not seen anything yet to contradict my earlier accusation."